H. Rick Bamman - hbamman@shawmedia.com Algonquin resident Nick Wake of the 1200 block of Teton Parkway cleans off his vehicle on Monday morning before heading to work. A winter storm that placed McHenry County under a winter weather advisory dropped 6.3 inches on Bull Valley between Sunday and Monday morning, National Weather Service meteorologist Matt Friedlein said. He added other areas in the northwest suburbs landed upwards of 4 inches of snow. 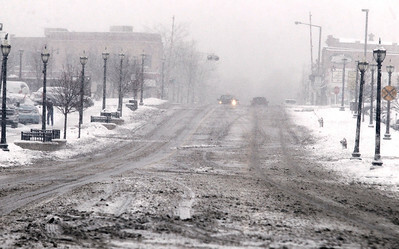 H. Rick Bamman - hbamman@shawmedia.com Main St. in Crystal Lake is nearly deserted Monday morning as heavy snow falls and is expected to bring an accumulation of 2 to 4 inches by noon. The snow is expected to diminish in intensity late Monday morning, possibly mixing with light rain. 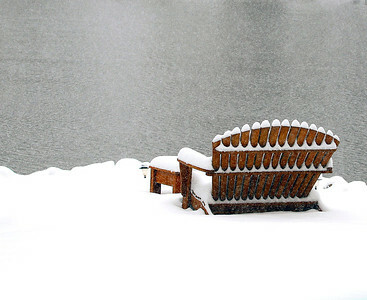 H. Rick Bamman - hbamman@shawmedia.com A snow covered bench faces the Fox River along North River Rd. in Algonquin on Monday, March 23 2015. A winter storm that placed McHenry County under a winter weather advisory dropped 6.3 inches on Bull Valley between Sunday and Monday morning, National Weather Service meteorologist Matt Friedlein said. He added other areas in the northwest suburbs landed upwards of 4 inches of snow. 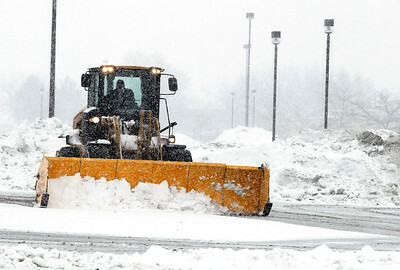 H. Rick Bamman - hbamman@shawmedia.com A plow clears the parking lot at the Best Buy store in Crystal Lake monday morning. A snow covered bench faces the Fox River along North River Rd. in Algonquin on Monday, March 23 2015. A winter storm that placed McHenry County under a winter weather advisory dropped 6.3 inches on Bull Valley between Sunday and Monday morning, National Weather Service meteorologist Matt Friedlein said. 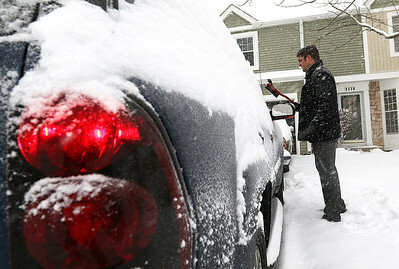 He added other areas in the northwest suburbs landed upwards of 4 inches of snow.